The famous author and poet D.H. Lawrence once wrote, “I never saw a wild thing sorry for itself.” We constantly applaud amputees like war veterans for being brave in the face of losing limbs, but what about the fauna out there? Animals fall ill and get injured all the time, but it wasn’t until quite recently that modern biomechanical engineering started fashioning functional prosthetics for our scaly and furry friends out there. 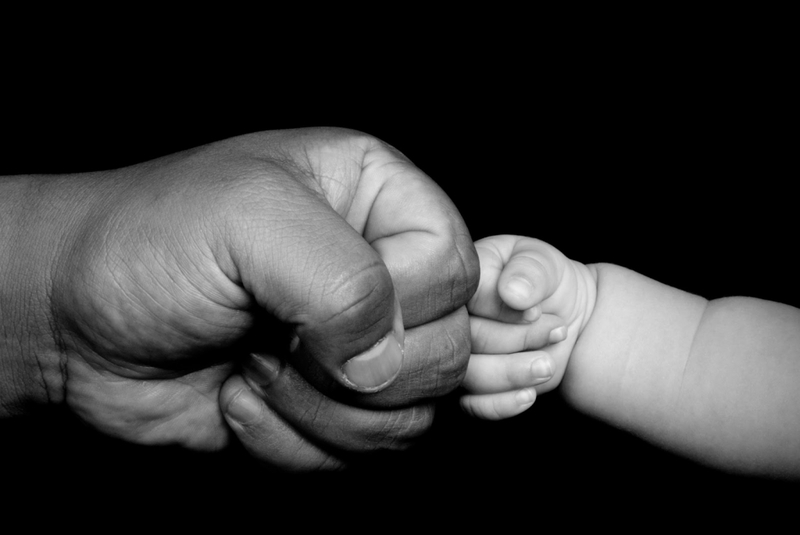 These steadfast animals are so sweet they will make you laugh with joy until you cry. 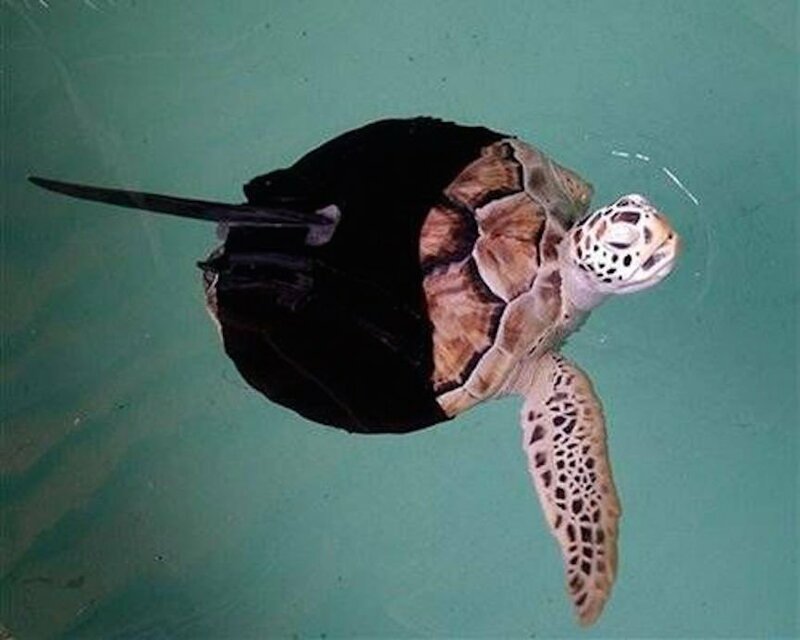 The handlers that care for this sweet sea turtle believe she lost all but one of her flippers to a shark attack. But her life has greatly improved since being fitted with an artificial fin, which is lovingly referred to as her “ninja suit.” Apparently, Allison loves her fin so much that she tries to swim away when her handlers try to remove it. Looking at the striking bird of prey, you initially wouldn’t know that her beak was a prosthetic. She survived being shot by poachers but Beauty needed the help of humans to feed her – with her new beak, she can now feed for herself. 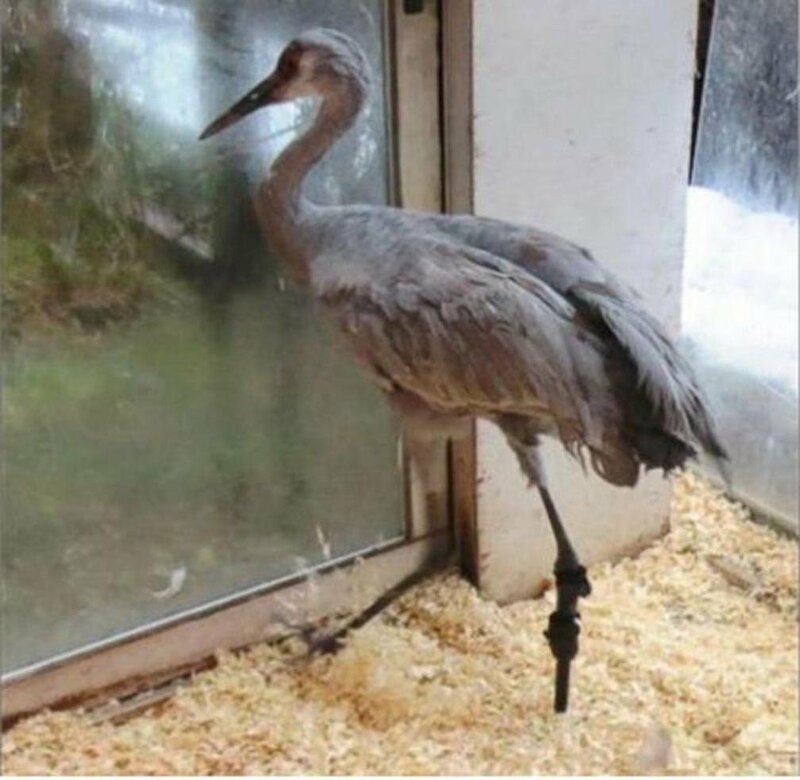 After an unfortunate incident on a golf course, Bunker, a sandhill crane, had to have one of his legs amputated. 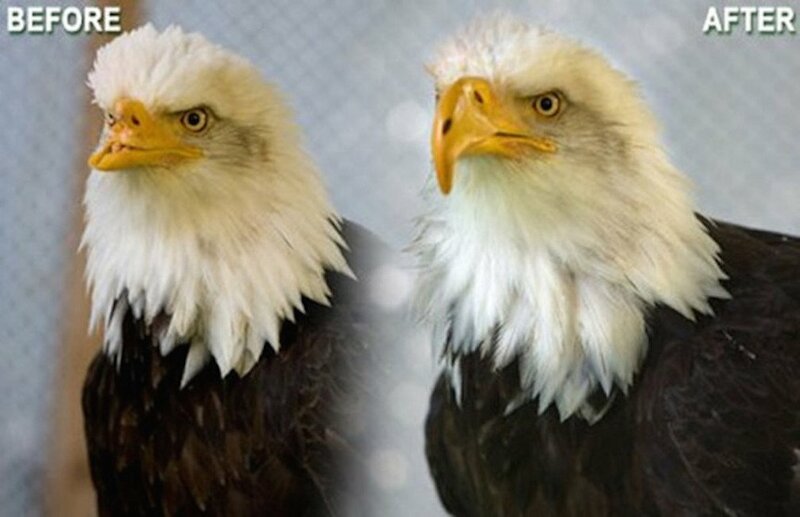 With the help of Orthopets in Denver, CO, Bunker is now able to fully use both legs and vets hope to return him to the wild very soon. While plenty of animals have to have prosthetics specially made, vets had a far easier time getting this piglet moving. 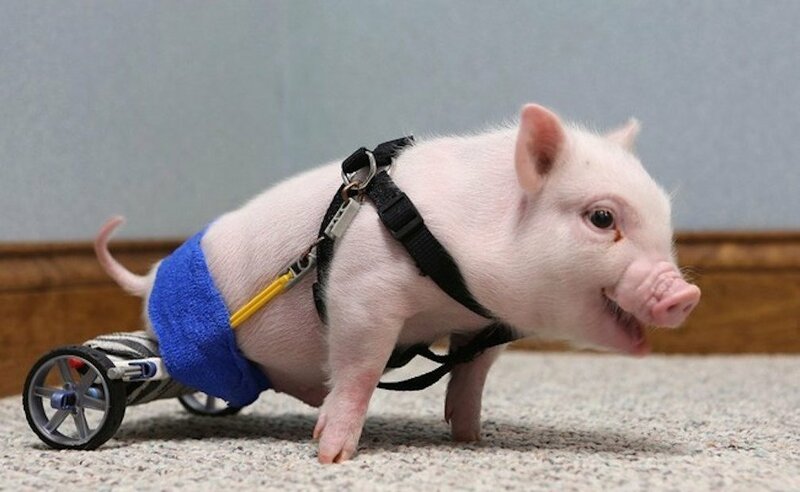 Chris P. Bacon was born without hind legs, so doctors built him a “wheelchair” with some parts of Kinex toys.